John and Betty Vogeding Tourn. Lower Half (106-145): Five of the seven slots here will be filled by returning starters, including four seniors, which is always a big plus for the Group 1 schools and can give them an advantage against the similar sized schools. The big name here is Fontanez, a District medal winner last year, who became the school's first 30-match winner since 2007. Vloyanetes and Zitzman were both 15+ winners in 2013, and Rosado and Harris are both capable of hitting that mark this year giving The Burg a nice core down low. Upper Half (152-Hwt): 87 wins were lost to graduation, but the Titans get a huge boost with the return of Sutton. Sutton was a District champ in 2012, and was voted the tournament's Most Outstanding Wrestler. He anchors an upper half that will be breaking in several new faces, but does also return 22-match winner Alt, and David Wilson. Outlook: The Titans have the numbers to fill a complete lineup, which is always a bonus for the smaller programs these days. It will be a lineup that has a nice mix of solid talent, headlined by Sutton and Fontanez, experience, and promising newcomers, including Bauman, Rogers, and Beveridge. 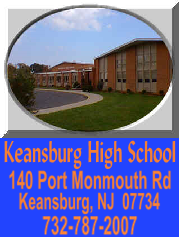 Keansburg has improved each of the last three years, and has put up 32 wins over the last two seasons. There's a nice group here that should contribute to the team being in the Division chase as well as continuing the programs recent winning ways.